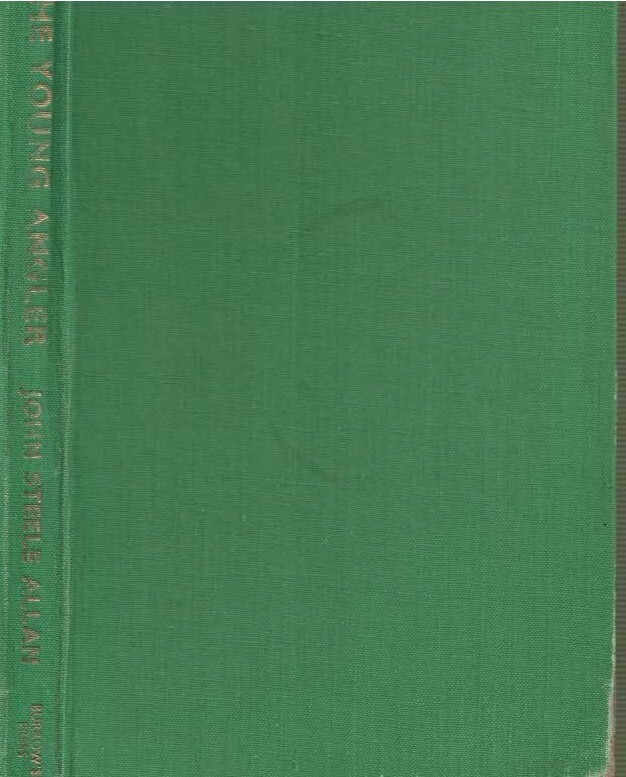 Barter Books : Allan, John Steele; Simpson, Jackson [illus.] : The Young Angler. Signed copy. 13 illustrations by Jackson Simpson. 220 x 140 mm (9 x 6 inches) - 51pp. G: in Good condition without dust jacket. Cover rubbed and edgeworn. Front inner hinge cracked, rear repaired with tape. Signed and inscribed by author: 'Editor Berwickshire News. 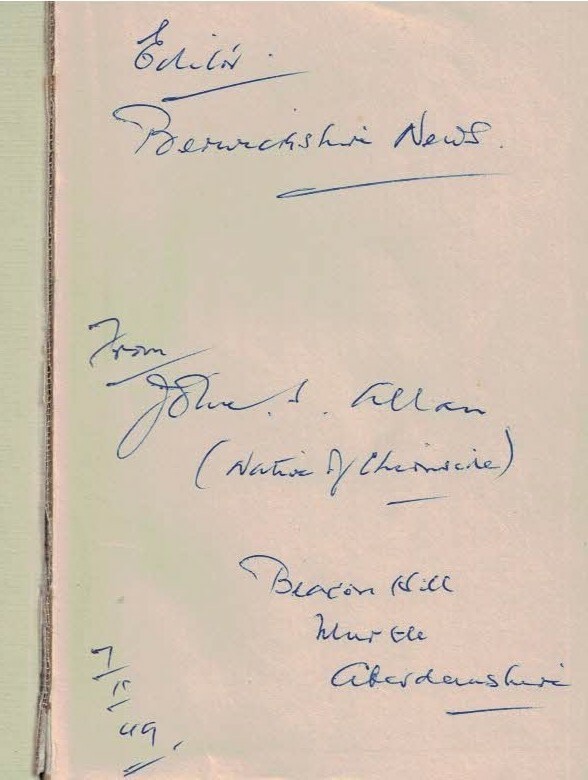 From John S. Allan [Native of Chirnside] 7/10/49'.